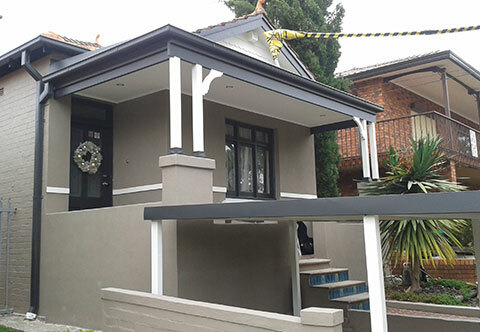 Are you looking to have a residential painting service in Sydney for a fresh coat on the exterior? For the paint job to come out just right, consider these tips. What time of the year are you planning to do the painting? The exterior is exposed to the elements of nature: humidity, wind, sunlight. Paint will dry better and faster in sunny conditions but can appear faded and blistered on some parts. The ideal weather for painting is mild sunshine like in the start of summer when the sun is not too hot. The paint dries out fairly fast in this weather while maintaining an even sheen. You may be tempted to go for more quantity on the cheap rather than quality if you are on a tight budget. Sadly, using cheap low-quality paint means you will need to apply a fresh coat in a short time as the paint cracks, fades, and chips. There are good quality affordable paints if you take the time to shop around. Try the web. Paint will not adhere well to a dirty surface. If you are painting over an older coat of paint, be sure to clean off any peelings. Work on the siding and trim and allow drying before sanding. Scrape if necessary. Do not try to cover up rotten wood and siding with paint. Replace the trim and siding. If the area affected is too small, consider using a wood hardener or filler on it. Remember to sand before painting. Home painting Sydney pros say that the conventional procedure was priming, sanding and finally applying paint. Look for a product that has combined primer and paint to reduce the number of coats to apply. If you buy several cans of paint, you may find that the shade and tone will differ for the same colour which will make your exterior look streaked. Avoid this by combining all the paint in one large container and mixing it for an even look. Paint will inevitably drip towards the bottom as gravity works on it. Paint from top to bottom so that you can cover these drips on the way down. A new coat of paint makes the surface too slick, which is risky for some areas such as the porch. Add some grit to the paint for some traction. Keep paint usable by storing in tightly sealed containers.